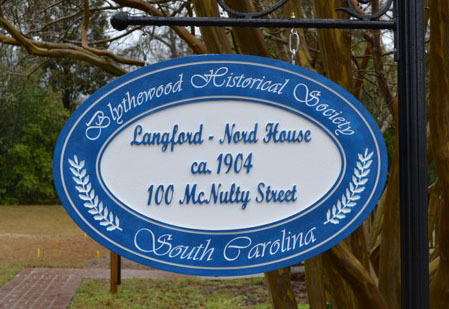 The mission of the Blythewood Historical Society is to protect, nurture and support the historical, pre-historical and cultural heritage of Blythewood through preservation, advocacy and education. in the mission of this society. Also, members vote on officers and issues of the Historical Society. * Indicates gifts of $500.00 or more.